7 October 2014 | Justice for Iran (JFI) highlights urgent concerns in submission to the 20th session of UPR Working Group on Islamic Republic of Iran. Stop hate speech against people of diverse sexual orientation and gender identity. In addition, JFI’s recommendations on a variety of issues involving women’s rights, such as early marriage, right to bodily cover, reproductive rights and sexual torture will be made available to delegations attending the UPR pre-session. 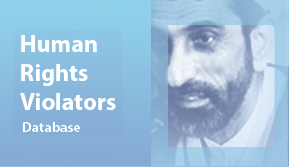 On 8 October, just days ahead of Iran’s second Universal Periodic Review (UPR), JFI will make one of six presentations selected to inform UN delegates from around the world about the situation of human rights in Iran. During a Pre-Session event organized by UPR Info, the foremost NGO focused on this process, Shadi Amin, the co-founder of JFI and coordinator of Iranian Lesbian and Transgender Network (6Rang) will deliver a statement based on JFI’s UPR submission. Over the months of September and October, JFI experts have met with close to forty representatives of various member states of the Human Rights Council in Geneva, and based on victim testimonies, documents, survivor interviews and documents shared details of human rights violations in Iran. As its first priority, JFI briefs member states about the fact that a mere 3 recommendations put forward to Iran during the first UPR in February 2010 were focused on LGBT rights. To remedy this deficit, JFI is pointing out the root-cause of this series of violations by highlighting at the UN level Iran’s policies to wrongfully medicalise sexual orientation and gender identity. To better raise awareness at the international level JFI advocacy contextualizes the violation of sexual rights of LGBT within the framework of gender-based policies of the Islamic Republic that treat women or femininity as inferior. With regards to its next priority, that of women’s rights, JFI briefs member states that regardless of Iran’s decision to accept a number of recommendations focused on women’s rights during the first UPR, it has failed to deliver any measure of improvement. In particular, JFI emphasised that the rights of women and girls in Iran require far more discussion and action at the international level. The presentations and presenters will inform participating States as they prepare their recommendations for Iran’s UPR review. 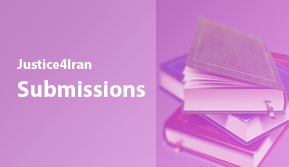 JFI will maintain its active participation as a leading voice in the 2014 Iran UPR. More information on this significant process will be reflected in JFI’s work during the coming weeks. The Universal Periodic Review (UPR) is a new phenomenon in the world of human rights. It refers to a four-year cycle of cooperative review of the human rights records of all UN member states. Under the auspices of the Human Rights Council, it is lead by nations, meaning each state has the right to declare what actions they have taken to improve their human rights record in order to better align their national policies and praxis with their human rights obligations, and to address human right violations. Iran’s first UPR took place in February 2010. A total of 53 delegations made 189 recommendations to Iran, 123 of which were accepted, while according to the Islamic Republic 21 were already implemented or in the process of implementation, and an additional 20 were under review, but 45 important recommendations were entirely rejected.